Is Your Leadership Power Making Your Team Speechless? “Why would anyone want to be led by you?” is a dreaded question for most (aspiring) leaders. Usually, team structure is good for team performance (i.e specialisation, hierarchy and formalisation enacted by the team, specific to the team, and emerging from team specific tasks). However, there is a caveat when it comes to a team leader’s power (part of hierarchy and formalisation). How is power influencing you as a leader? Tost, Gino and Larrick measured the effect of power in team leaders on team performance. They argued that formal leader power can increase the leader’s amount of talking. This in turn would negatively influence team openness and communication. Consequently, this would influence team performance. However, does it matter whether leader has formal authority or not in these effects of leadership power? DEFINITELY! 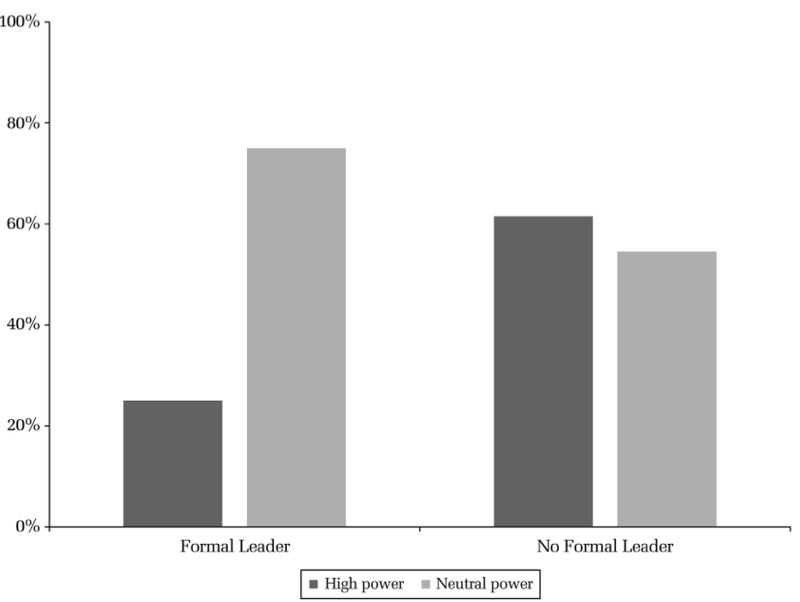 teams achieved near similar performance whether informal leaders were in high-power or neutral-power condition. Based on this research we can argue that the way you deal with power as a formal leader can make your team literally speechless. And, the performance consequences are dramatic! How “quiet” is your team? Previous Previous post: Is Structure Bad for Team Learning? Next Next post: The Female CEOs “Group” – Strength or Guilt?